What does freelancing mean? Freelancing is simply being employed by self or getting hired for various companies to complete particular assignments. You can simply call freelancing as a part-time or full-time job that a person has created on his own for his benefit only. Freelancing has really helped the people to pass their time out and also, it has helped to employ the unemployed ones. Freelancing has made the people discover out the talents that were once hidden within themselves. People do a lot of things to freelance. The things can be painting, teaching, blogging, designing websites, editing, etc. Any skill that you acquire can help you being a freelancer. The best thing about this is that you are independent. You can work according to your convenience at your home but you need to complete the work on time. Freelancing has many benefits like the ones who do not have full-time employment get self-employed. Along with many attracting benefits, there are many drawbacks of freelancing also like you may not be able to earn as much required to run your family or to satisfy your needs. If the students are indulged in freelancing that is really a great thing because this is going to help them be independent and release some burden from their parent’s shoulders. It has been observed that some people are highly skilled but are not getting any work. This may be due to less social interactivity or due to lesser opportunities or maybe they are not ready to get out of their comfort. So, a great opportunity which has a great hype today known as freelancing is knocking their doors. There is good news for such persons to get employed and show up their talent to the whole world and the good news is that there are many websites and applications that you can use and do freelancing. These websites help you to find the people who need a person to be hired for a particular work. One of the most famous and the website that has the maximum users is named as WordPress. WHAT WORK DOES WORDPRESS HELP YOU DO? So, firstly we must learn that what WordPress actually is. WordPress is a free to use and an open source that is written in PHP and the operating system on which you can operate can be Windows, Linux. It was developed in the year 2003 by Matt Mullenweg and Mike Little. WordPress works as a content management system (CMS) or content management framework or blogging software. The features of WordPress include a plug-in architecture and a template system. It is used mainly for blogging purposes or for creating a website of your own. It also features a search-engine friendly nature and also, it supports tagging of the posts. WordPress allows you to host a website of your own or helps you start an online store or anything you can imagine. WordPress is widely worked with because it holds the world’s largest content management system often abstracted as CMS that result in less staff training while building a new site because many users are already knowing about WordPress. WordPress offers a lower setup and less maintenance cost. It can be accessed by anyone. 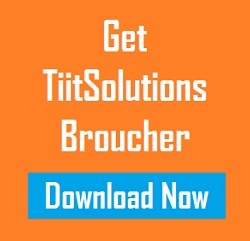 It is not only for developers. Any person who got skills and ideas can make the best use of this platform. You can either build a blog or a website or a combination of both using this platform named WordPress. It has shown the best growth results. There are many WordPress developers established today that you can hire so that you can make your site work even better. You may find many custom WordPress development services on the internet. These services help you to develop your WordPress portal more uniquely so that your brand makes a great impact. There are various companies available that provide these services but you need to choose the best among them. You need to find a reliable service holder and an experience one too that can be trusted. Let’s look upon the key points to which you must stick before hiring someone. ☞ Do not rush and take it easy: It may be possible that you get impressed by the first agency you have seen but you cannot make the best decision until you make a comparison. So, there is no need to make a rush and the decision must be taken patiently. ☞ Have a chat with the developer: Do not get impressed with the fancy presentations they show up. You must have a conversation about your project with the developer and then you must review their inputs and ideas. Observing their inputs you will realize that whether they are fit to get hired for your project or not. ☞ Do not get attracted by the cheap prices: It is quite possible that these eye-catching prices may just end up in making your site look cheap as the prices. ☞ Ignore the fancy tags: You must also ignore the high costing developers because they may not meet up your expectation and it would burn your pocket then. ☞ Upgrades and maintenance should be watched out: The developer or the agency must put stress on the upgrades and maintenance of your website and if they are not doing so then you must talk about it and note their reaction. This is important because a website needs to be maintained regularly so that bugs can be fixed and new functionalities can be added. ☞ Be punctual with the deadlines: It might be possible that the developer is working on multiple projects then the developer should make sure that your product is delivered on time because you cannot let your customers wait. 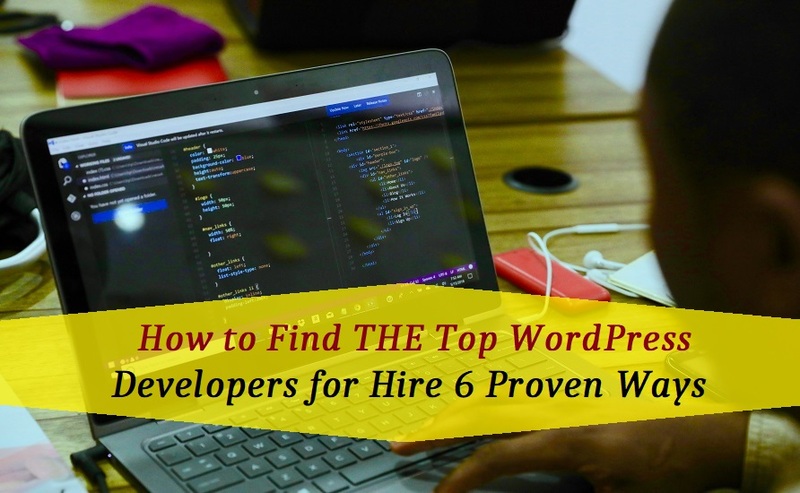 These are some of the very crucial points that you should keep in your mind before hiring a WordPress developer and make sure you follow these because it costs your business. About Merry Waran is a Marketing Manager at AIS Technolabs which is Web design and Development Company, helping global businesses to grow by Custom WordPress Development Services. I would love to share thoughts on Social Media Marketing Services and Game Design Development etc.